Help fund independent labour news. Make a donation via PayPal, and put a motion forward to your union local. Learn more about the impact of your donation. Rankandfile.ca is always looking for new people to expand its network of writers and correspondents. No experience necessary! We will work with you! WHY DID HARRIS WIN RE-ELECTION IN 1999? 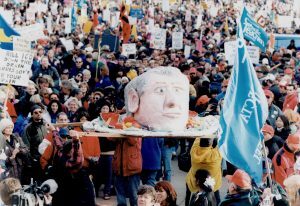 One of the most pernicious myths circulating in Ontario’s labour ranks is that the Days of Action – the big protests and strikes against the Harris Tories in the late 1990s – somehow led to the re-election of the Harris Tories in 1999. This is complete nonsense. Let’s examine why the Tories were re-elected in 1999 before we take a deep dive into the Days of Action themselves. The worst of Ontario’s 1990s recession fell under the NDP regime from about 1990 to 1993, but the province’s economic crisis lasted well into 1997. After a strong recovery beginning in 1994 thanks to a recovering American economy, the Harris Tories were elected in 1995 and sent the economy back into recession, raising unemployment and driving growth downward to zero by 1996. Their “Common Sense Revolution” did this by slashing infrastructure spending by billions, decimating labour laws, drawing up massive austerity budgets, and the cutting 13,000 out of 65,000 Ontario Public Service jobs. Read more! 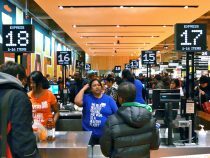 The Ontario Chamber of Commerce (OCC) has already come out with a press release calling this the biggest decline in employment in almost a decade. Read more! First, a follow up with Nicole Montford, a first-time organizer in Calgary, Alberta, who recently organized a day of action to support a nationalized inter-city bus service to replace Greyhound. We’ll talk about her experience organizing and what she learned in the process. You can check out the campaign at www.NationalizeBusRoutes.ca and on Twitter @NationalizeBus . Second, we’ll talk to Scott Price who is a labour historian with UFCW 832 here in Manitoba about the importance of working people documenting their own history and struggles, and how unions and grassroots movements can incorporate oral history and knowledge sharing as a key component of their organizing. Read more! According to some critics, New York City’s militant Taxi Workers Alliance is standing in the way of progress. 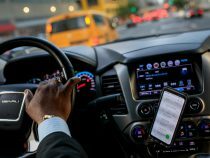 The union represents 21,000 taxi and other for-hire vehicle drivers and recently scored a major victory over Uber, passing legislation capping the number of for-hire vehicles on the city’s streets — an affront to those who put their full faith in the benevolence of the market’s invisible hand. Read more!